Your body is designed to have the metabolic flexibility to use both fat and glucose for fuel — not just one or the other. The reason conventional dietary advice has failed so miserably is because eating a high-carb diet for a long period of time results in the loss of this metabolic flexibility, making you unable to effectively burn fat for fuel. Last year, the British National Obesity Forum and the Public Health Collaboration issued a joint report based on the analysis of 43 obesity studies, warning the policy to promote a low-fat, high-carb diet is having a “disastrous impact on health.”1,2,3 In conclusion, the report issued a strong recommendation to overhaul dietary guidelines to recommend a low-carb, high-fat diet instead, along with intermittent fasting or skipping meals, as chronic grazing or snacking between meals is a significant contributor to obesity. In short, most people not only eat the wrong foods and too much of it, they also eat too frequently. Lately, the ketogenic diet has become increasingly popular, and its popularity is largely driven by the sheer number of success stories. A recent article4 by CNBC, for example, notes how Silicon Valley has embraced the ketogenic diet in hopes of reversing type 2 diabetes and living longer. Healthy dietary fats also play an important role in maintaining your body’s electrical system — an area I’ve recently started delving deeper into. All cellular membranes are made of fats, which act as insulators and are connected through a conductor. This arrangement sets up a biological capacitor to store electrons — but only if the fats are healthy. If you consume damaged fats, or worse, heated and hydrogenated oils, the fatty acids in your cell membranes become functionally impaired and have limited capacity to store body voltage, thus increasing the risk for disease. This is yet another reason why it is so vital to eat healthy fats. Conventional advice suggests attaining an ideal weight is a matter of balancing the calories you eat with your exercise, i.e., the flawed calories in/calories out hypothesis. Tens of millions have failed to achieve long-term results following this advice. Shipments of “Fat for Fuel” begin tomorrow, May 16. 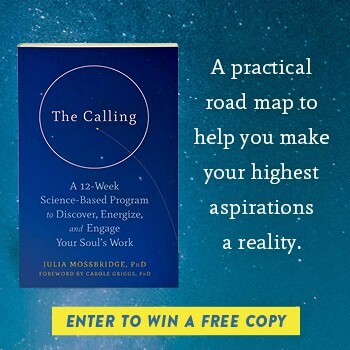 Preordering your copy today will entitle you to six free bonuses and help push this book onto the best-seller list, which will give it wider exposure to people who might not read this newsletter. It’s by far the most important book I’ve ever written, as it addresses what appears to be at the very heart of virtually all chronic disease, namely mitochondrial dysfunction. If your mitochondria are not functioning properly, your entire metabolism will be seriously impaired. I provide important details you need to understand to improve your mitochondrial health in the book. It is my sincere belief that this book has the potential to save many lives. More than half of all Americans struggle with chronic illness and 1 in 5 deaths in the U.S. are obesity-related. It doesn’t have to be this way, and my book details the way forward, out of chronic disease into optimal health. As a general guideline, a dietary intake of 20 to 50 grams (or less) per day of net carbs (total carbohydrates minus fiber) while also keeping protein low-to-moderate is usually low enough to allow you to make the shift to nutritional ketosis. Nutritional ketosis is the metabolic state associated with an increased production of ketones in your liver; i.e., the biological reflection of being able to burn fat, and is defined as having blood ketones in the range of 0.5 to 3.0 millimoles per liter (mmol/L). Remember that once your body starts to burn fat for fuel you need to switch to a cyclical ketogenic diet, as long-term continuous ketosis is unhealthy. This is why we call the program a cyclical ketogenic diet. Switching from a high-net-carb diet to a fat and adequate protein diet will help rebalance your body’s chemistry, and a natural side effect of this is weight loss and/or improved weight management once you’re at an ideal weight. In one study, obese subjects were given either a low-carb ketogenic diet or a low-fat diet. After 24 weeks, the low-carb group lost nearly double the amount of weight than the low-fat group (20.7 pounds compared to 10.6 pounds).7 Low-carb, high-fat diets also reduce hunger and carb cravings, thereby reducing your risk of overeating and weight gain. When burned for fuel, dietary fat releases far fewer ROS and secondary free radicals than sugar. While all cells (including cancer cells) can use glucose for fuel, cancer cells lack the metabolic flexibility to use ketones for its energy needs, which your regular cells can. Once your body enters a state of nutritional ketosis, cancer cells are more susceptible to be removed by your body. Ketones share a close structural similarity to branched-chain amino acids and seem to be preferentially metabolized. In other words, ketones spare those branched-chain amino acids, leaving higher levels of them around, which promotes muscle mass.8 However, it is important to use a cyclical approach, otherwise your muscle mass will decrease. As noted by Jeff Volek, Ph.D., a registered dietitian and professor in the Human Science Department at Ohio State University, one of the reasons you can survive a long time without food is due to the process of ketosis, which spares protein breakdown. A fairly consistent effect seen in people on a ketogenic diet is that blood levels of leucine and other important structural proteins go up, allowing these proteins to perform a number of important signaling functions. As mentioned, ketones also mimic the life span-extending properties of calorie restriction13 (fasting), which includes improved glucose metabolism, reduced inflammation, clearing out malfunctioning immune cells,14 and reduced IGF-1. In my book I also explain why cycling through stages of feast and famine, as opposed to continuously remaining in nutritional ketosis, is so important. Once you are able to burn fat as fuel, having a day or two each week where you eat more net carbs and protein is important, especially when you’re doing strength training, to prevent sarcopenia. After a day or two of “feasting,” you then cycle back into nutritional ketosis (the “fasting” stage) for the remainder of the week. By periodically pulsing higher carb intakes, consuming, say, 100 or 150 grams of carbs opposed to 20 to 50 grams per day, your ketone levels will dramatically increase and your blood sugar will drop. Paradoxically, long-term uninterrupted use of a ketogenic diet can trigger a rise in blood sugar by driving your insulin level too low. The reason this situation can occur is because the primary function of insulin is not to drive sugar into the cell but to suppress the production of glucose by your liver (hepatic gluconeogenesis). Cycling in and out of nutritional ketosis will prevent this situation from occurring. Additionally, from a metabolic perspective, clearance of damaged cell and cell content occurs during the fasting phase (much in the same way exercise produces damage to your muscles) while the “metabolic magic” of rejuvenation occurs during the refeeding phase. This is when cells and tissues are rebuilt. As just one example, recent research shows fasting actually triggers the regeneration of the pancreas in both type 1 and type 2 diabetics.16,17 But again, these regenerative effects are largely triggered during the refeeding phase. If you don’t pulse in and out of ketosis, you end up missing out on many of the benefits that occur during this rebuilding and rejuvenation phase. The rejuvenation that occurs during refeeding is also one of the reasons intermittent fasting is so beneficial. Put another way, the fasting phase helps your body clean out toxic debris, while the refeeding phase builds your body back up. The cycling can also make this type of diet easier to maintain. Yet another important factor is avoiding late-night eating. Feeding your body at a time when it needs the least amount of energy encourages cellular damage due to excess production of free radicals. For this reason, I suggest limiting your eating to breakfast and lunch — a “Peak Fasting” strategy that allows you to fast for 16 or more hours each day. 2.Monitor your nutrient ratios. As a general rule, you’ll need to reduce your net carbs to 20 to 50 grams a day or less; restrict protein to 1 gram per kilogram of lean body mass; and get anywhere from 50 to 85 percent of your daily calories from healthy fats. Selecting the right fats is crucial to your success on a cyclical ketogenic diet. One of the reasons many ended up experiencing health problems on the Atkins Diet was because no distinction was made between healthy and harmful fats. As a general rule, any fat found naturally in animal foods and plants is good for you. Switching from a high-carb diet to one high in healthy fat with adequate protein and low in net carbs helps rebalance your body’s chemistry. A natural side effect of this is weight loss, and improved weight management once you’re at an ideal weight. It’s really important to understand that you will not get fat from eating healthy fat. Nor will you lose weight simply by eating fewer calories and exercising more. Obesity stems from eating a high-carb diet, which over time leads to an inability to burn fat for fuel — and exercise alone cannot correct this metabolic dysfunction. To correct it, you need to alter your nutrient ratios, making healthy fats the largest source of calories, not net carbs. Add just the amount of protein your body needs and no more, cut way back on net carbs, and chances are you’ll be amazed at the health improvements you will gain.